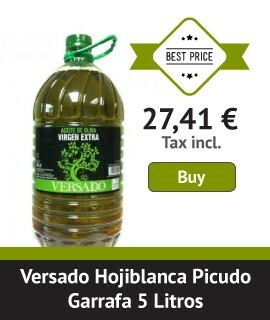 Aceites Vizcántar (Vizcántar Olive Oil) is a firm which specializes in the production of olive oil. The history of the winery dates back to 1935. 80 years of history and effort have made Cuatro Rayas the reference in Spanish white wines today. Almazaras de la Subbetica, the name of our oil mills, is a premier agricultural cooperative, formed in July 2007 from the merger of two prestigious and longstanding cooperatives: S.C.A. Virgen del Castillo and S.C.A. Olivarera Nuestro Padre Jesus Nazareno, both with over 60 years experience in the industry. Historians know the name Valdueza for the relevance of the Álvarez de Toledo family in the history of Spain, Europe, and America. Romantics will tell you that we are one of the last families that still drives cattle on horseback from Extremadura to Ávila. For gourmets, the name Valdueza means a magnificent olive oil, red wine, vinegar, and honey. Swift wines is a company formed by young professionals who contribute to the art of winemaking innovative and creative projects .